Why Use Liquor Consulting Services? Whether you're new to the industry or an old hand publican, you can save time, money and resources by utilising our inside knowledge of the liquor industry. With over 35 years of combined regulatory, compliance and government expertise, and particular expertise surrounding the regulation of Victorian Liquor Laws, On Tap Liquor Consulting are sure to be able to assist you with your licensing needs and concerns. We provide a tailored experience with focuses on education and assistance to a wide range of businesses in the industry. Based on expert knowledge and experience, On Tap Liquor Consultants will display integrity, professionalism and expertise at all times.  At On Tap Liquor Consulting we are committed to utilising our knowledge of the industry to assist you; The Licensee.